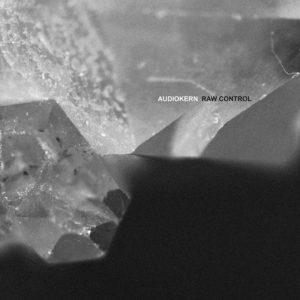 07/11/2018 07/11/2018 Magazine Sixty reviews AudiokernAudiokern - Raw Control EP - Klangkeller RecordsKlangkeller RecordsTobias. Appearing on the artists own Klangkeller Records the second release this year from Audiokern is quite something to behold. Pulling apart safe ideas of rhythm and structure, Sorry supplies an undulating, hard and funky arrangement of drums alongside various stabbing sounds, voice edits and textures which tease out your imagination to the ninth degree. The remix is from Tobias. who adds additional defining percussion and a darker, brooding feel via warm bass notes coupled with a rigorous reworking of the elements. Broken Silence then breaks down into a bleak landscape of pulsating drums and disturbing locations, while the contrasting title tack Raw Control offers a sense of hope via its forward-reaching beats and whirring repetitions of possibility.